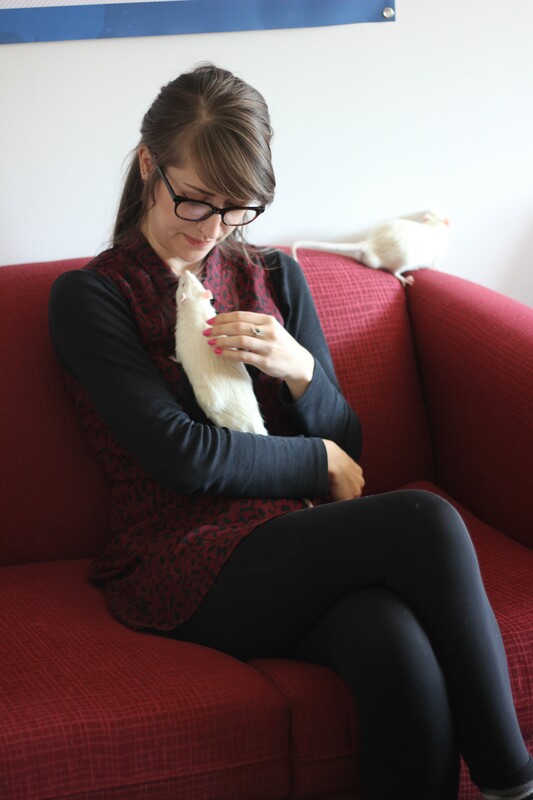 Most rats used for research, testing and teaching in New Zealand don’t get to see a life out of the lab. Most are gassed or euthanised after they are no longer considered “useful” to researchers and students. Archie and Monty, our red-eyed, twin boys are two of a small group of rats rescued from a vivisection facility in New Zealand. Although we got to give these rats another shot at life, we weren’t given any information about the experiments they were used in. This is unfortunate as it would have been really helpful in aiding their rehabilitation – they acted a bit odd from time to time and we weren’t sure why! Archie and Monty lived in our National Office in Christchurch during weekdays and then they got to go home with one of our staff for the weekends. Instead of being treated as if they are nothing more than laboratory tools, they both lived a life full of safety, comfort and yummy food. In their old lab life, they likely only ever got fed standard pellet food. This is the only thing that they refused to eat. They even pick out the pellets from their rat mix and hide them around their house! They had a giant rat palace which they were free to roam around and feel safe in, a nice change from the small, cramped cages they were likely housed in at the vivisection facility. They also had the option to come out and explore the office when we were there. They didn’t do this too often though as they were men of leisure and enjoyed the comfort and safety of their igloo or hammock. We cared for them and entertained them, as they entertained us, with each other’s company. 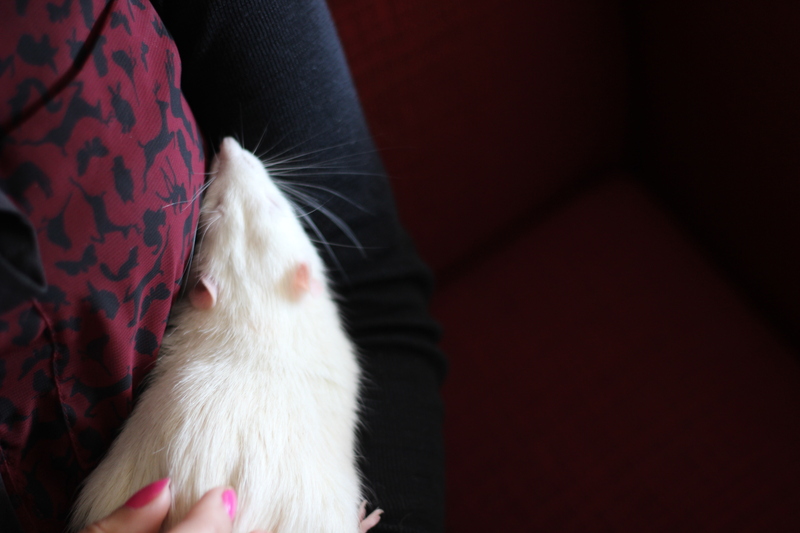 They had a very important job of helping us spread awareness as anti-vivisection ambassadors! 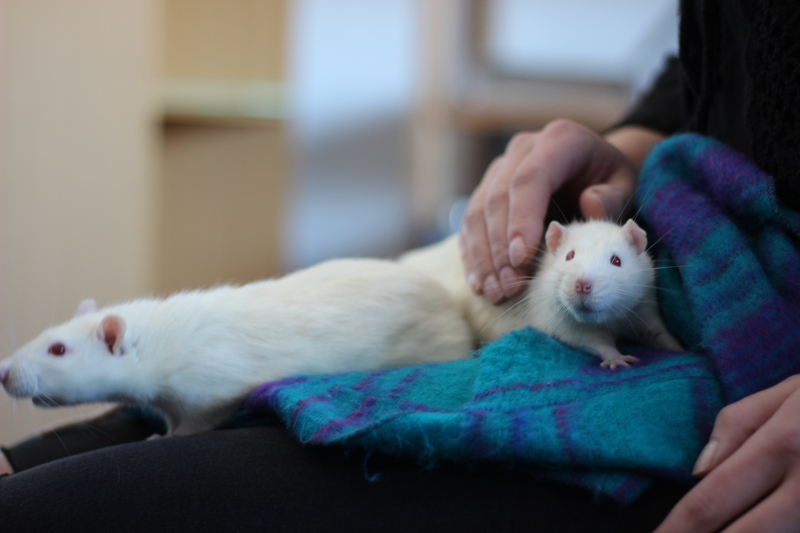 They also loved when our volunteers came in to give them extra treats and cuddles. Around 10,000 rats, just like these boys are killed every year for vivisection in New Zealand. You can help other animals in NZ have a chance at freedom by signing our petition to make it mandatory for ex-lab animals to be re-homed, instead of being immediately euthanised. We are also in the process of writing a children’s book to tell Archie and Monty’s story – watch this space. On this sad day, our beloved boys passed away. A week prior to this both Archie and Monty became very sick. Their health declined very quickly. We weren’t going to allow them to suffer any more than they already had. so they were both put to sleep together. A combination of neurological problems, tumours, spinal issues and kidney problems affected Archie and Monty all at once. What we are grateful for is that they were able to go together. They were the best of friends and had never lived a day apart. We will miss these intelligent wee men, and we are so blessed to have had them in our lives. They have touched the hearts of many of our supporters and have allowed people to see for themselves what two victims of vivisection look like. 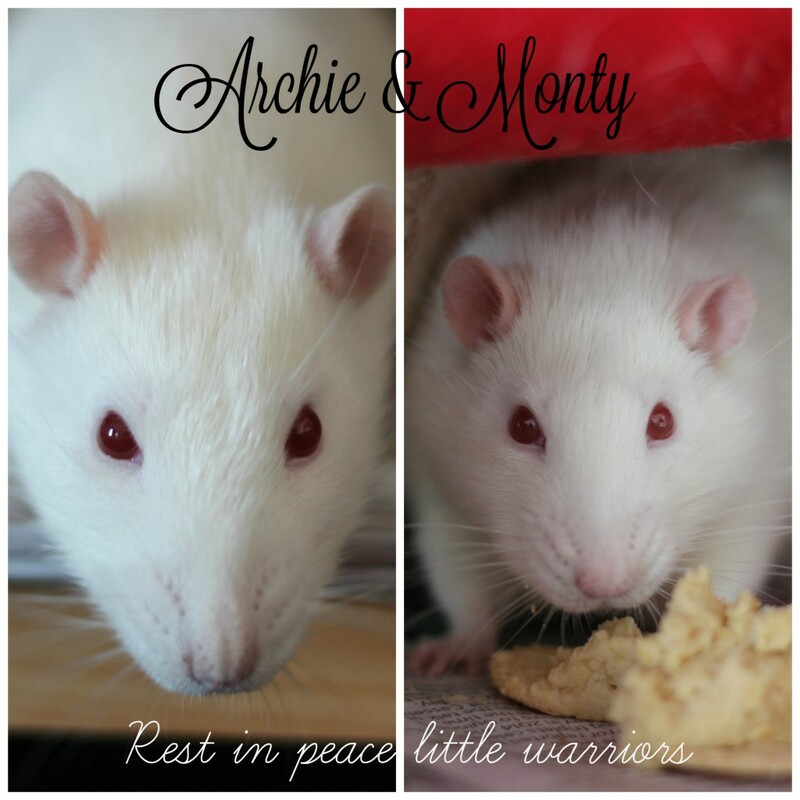 We also held a memorial for Archie and Monty at our national office in Christchurch. Many volunteers and supporters came along to celebrate the lives of our boys and to learn more about animal experimentation using rats in NZ. Archie and Monty were both cremated together and they will continue to watch over us at NZAVS headquarters in Christchurch. Rest in peace little warriors. We will continue to fight for you.